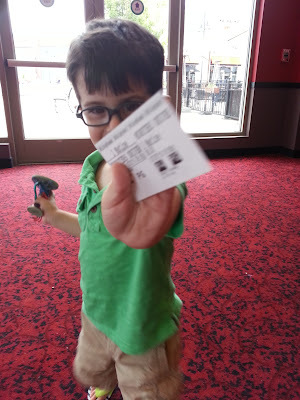 On the 7th, Daddy took me to see my very first movie. 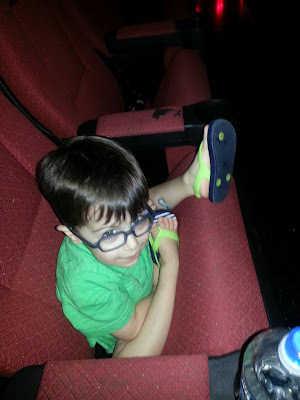 We went to see Monsters University at the movie theater at the Hingham Shipyard. We bought our tickets, and got some popcorn. 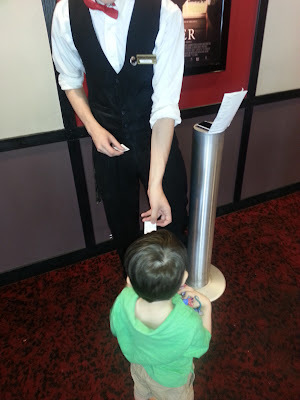 I handed my ticket to the man collecting tickets, but we were super early, and the theater wasn't ready yet, so we had to wait. But, while we were waiting, the ticket man switched shifts with a cute ticket girl. 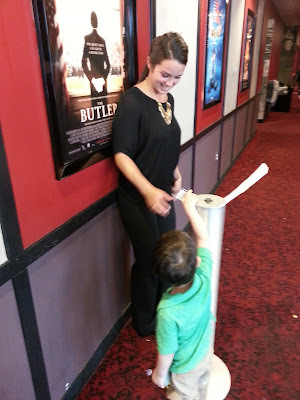 I demanded to have HER rip my ticket again...SUCH A FLIRT! 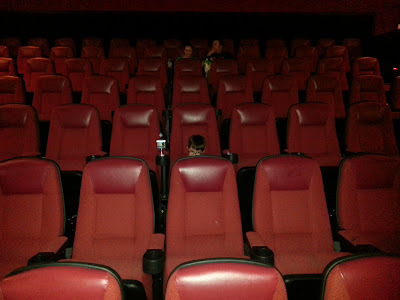 Daddy and I sat right in the middle, and I was good through the WHOLE movie. And, even though I wasn't heavy enough to keep the seats from folding back up and squishing me, I still had a great time with daddy. 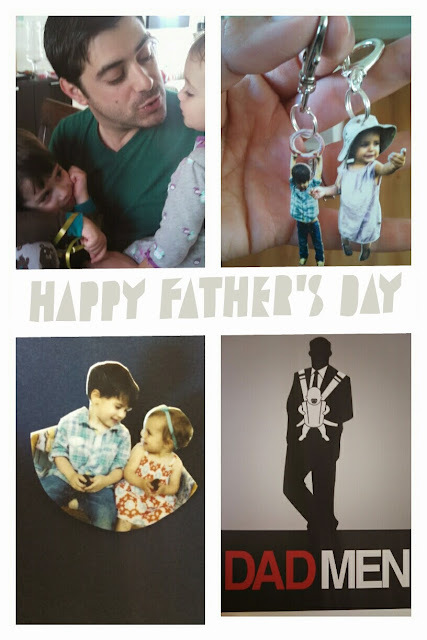 Today, Daddy worked from home. I don't know why, but it was great because I got to see him for lunch. We ate on the back deck and enjoyed the sunshine and warm weather. 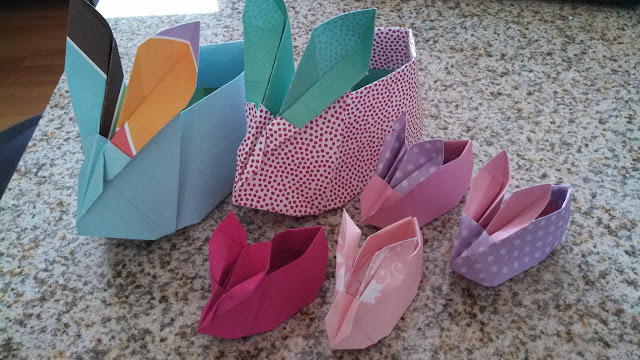 It was a great family lunch. I took Enzo to the "rain forest" today, so that we could find bugs. He was so excited, he needed to run all the way there with me. We only made it about 100' into the woods near our new apartment community, but we found a wealth of insects that we took pictures of. Then we peeled back some bark on a tree on the ground, and found a big queen ant! 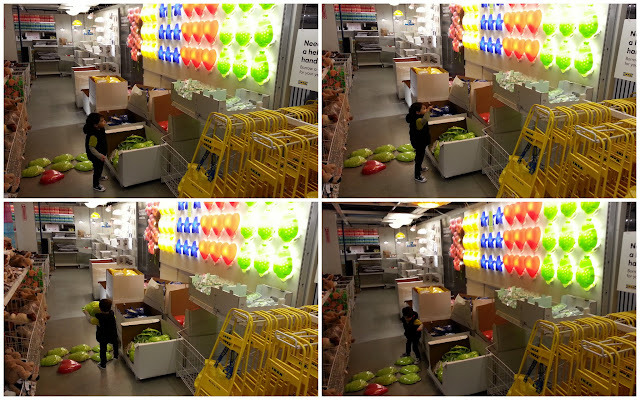 Enzo wanted to flip her over gently with a stick, we watched the workers bring the eggs to safety, and then we put it all back the way we found it. 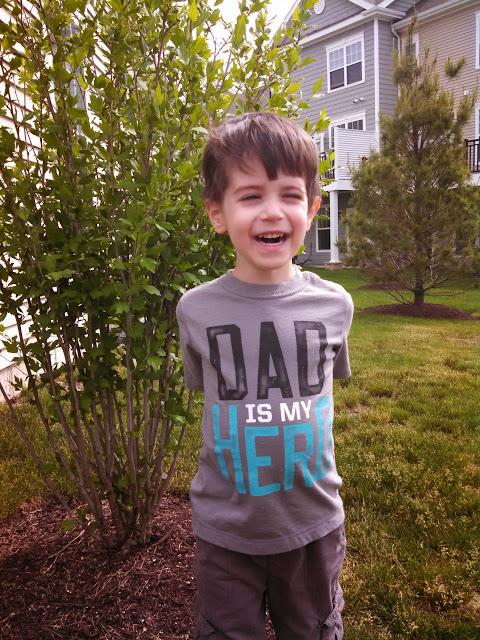 We had a very great time, and I told Enzo that we can go back when the weather is a little warmer, and find more. 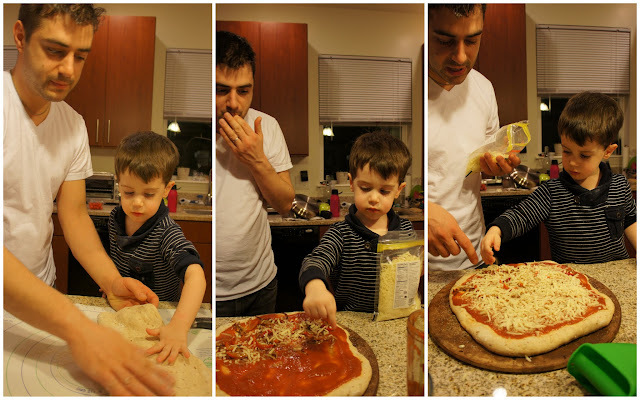 Mommy loves when her boys make dinner! 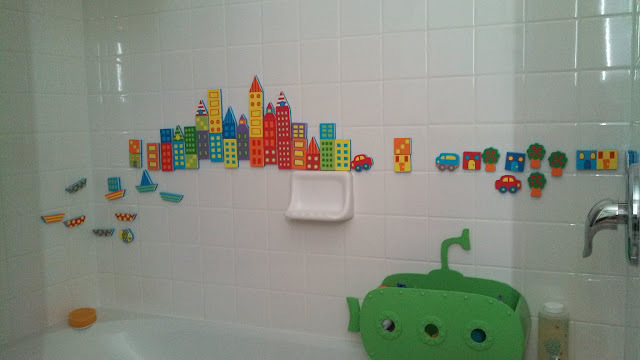 Mommy saw our city planning in the tub and thought we did some nice work. 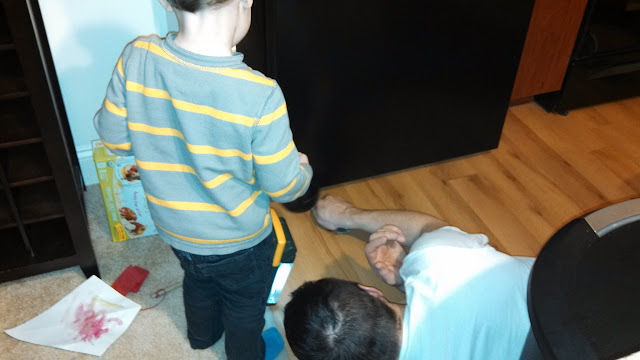 Enzo lost his hexbug under the fridge this evening while we were making dinner. He told us, "We need a grown-up tool to get it." 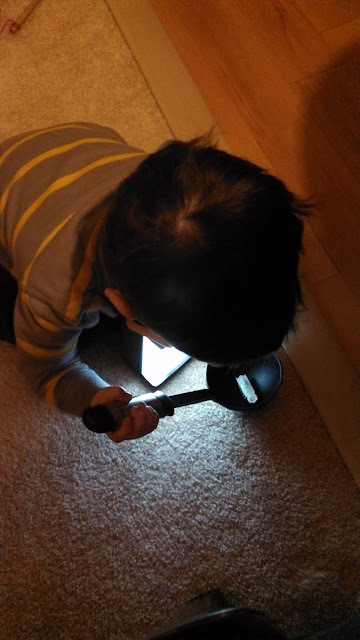 After Daddy got it out, Enzo said, "I'll use another grown-up tool to catch it."